Amber Wright is the manager of an Amish artisan village of shops, inn and restaurant. One of the shops is a coffee shop where visitors often go for their caffeine fix. One morning the manager of the coffee shop, Ethan Gray, is found dead. Amber must see to finding a replacement and feels responsible for the employee’s death while on her watch so to speak. Then, there are some acts of vandalism that leave quotes from the Bible’s book of Daniel. Do these incidents have anything to do with Ethan’s death? Even though the death is ruled natural, there are nagging inconsistencies in some people’s behavior and actions that cause Amber, Hannah and Tate to think maybe the death as not so natural after all. 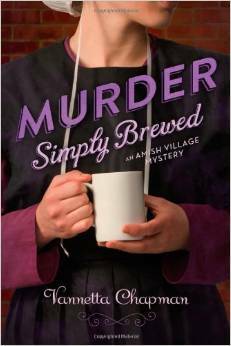 Amber hires Hannah, a young Amish woman, to take over managing the coffee shop. Hannah hears some rumors among other workers and shares what she learns with Amber. A friendship develops between the two women as they share clues they uncover. Hannah also begins to notice her best friend Jesse has become a man while she wasn’t looking, and the two may have more than friendship in their future. Amber shares her beliefs with local law enforcement, but without proof they don’t believe her. She and Tate spend a lot of time together hashing over the clues they’ve gathered. As the case comes to a head, Amber realizes she loves Tate and wants a future with him, but will she survive the culprit’s next attempt? I really liked the romance that developed between Tate and Amber. It was nice to see romance budding between two middle-aged people. I also liked the mystery element of the story, although I think it got bogged down a little bit with many details about the village and its workings. Maybe those with a love of all things Amish will find those details more interesting. 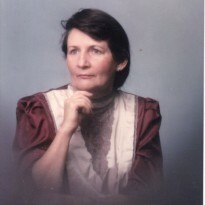 The advice dispensed by Hannah’s mother also was wise and biblical, which I really appreciated. I look forward to the next mystery due to be released in December, titled, Murder Tightly Knit.